Microsoft, B&N Release Windows 8 Nook App: Is A “Nook Surface” Next? Barnes & Noble and Microsoft have finally delivered a Nook e-reader application for Windows 8 and Windows RT, giving Microsoft’s Surface tablet a dedicated bookstore to compete with tablets and e-readers from Apple, Amazon, and Google. The Nook app is downloadable from the Microsoft Store for Windows 8 and Windows RT, but not Windows Phone. 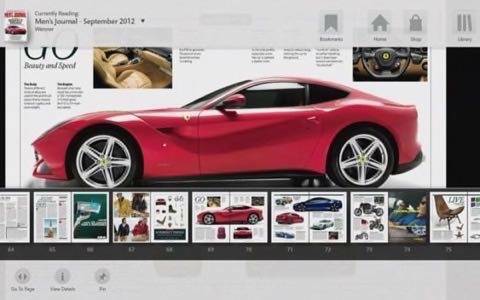 The application uses what B&N calls its first implementation of a “paper” interface, with a texture that mimics the look of real paper. 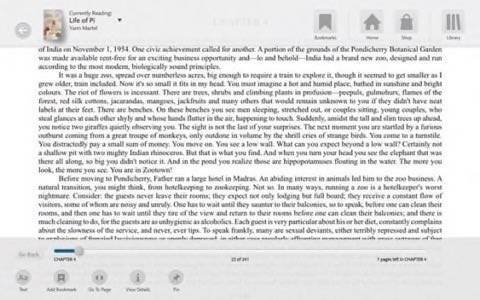 (That technique, also called skeuomorphism, had been widely adopted by Apple, which also uses a paper-like background inside its iBooks app.) 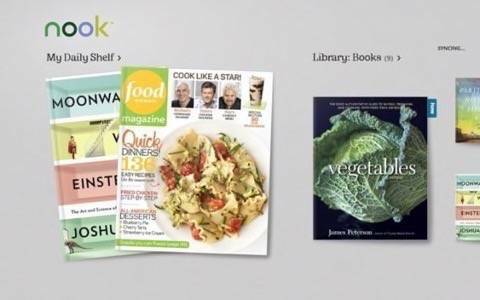 Both Apple and B&N’s Windows 8 app also use a “bookshelf” motif to display the books and magazines that the user has purchased, although only Apple actually places the books on a simulated shelf. To date, little has been said about Microsoft’s $300 million investment into Barnes & Noble, which took place last June, to form a subsidiary company that would be jointly owned by both B&N and Microsoft. But the release of the app was signaled months ago. In September, Barnes & Noble began advertising for a “director of engineering, Windows 8” posting, that would lead the B&N app. The app’s release also explains why Andy Lees has been named Microsoft’s new head of corporate development and strategy, a post that he assumed a month ago, according to a source close to Microsoft. Lees was originally head of the Windows Phone division, then was shuttled into a separate advisory role by chief executive Steve Ballmer. He then took over the partnership between Barnes & Noble and Microsoft, the source said. Lees’ new post “had nothing to do with the Sinofsky situation,” the source said, referring to the unexpected departure of Windows chief Steven Sinofsky from Microsoft on Monday. Lees will oversee the corporate strategy team and the corporate development team, with a “holistic approach” to mergers, acquistions and other moves, the source said. With a 22-year pedigree at Microsoft, “he knows the products inside and out,” the source said. Lees’ bio has yet to be updated to reflect his new position. However, the source also said that it was incorrect to think of the new Nook app as the “culmination” of the partnership between the two companies, although he declined to comment when asked if a co-branded Microsoft Nook Surface tablet was in the works. At the end of September, Barnes & Noble announced the 7-inch Nook HD for $199 (8GB) and $229 (16 GB) as well as the 9-inch Nook HD+ for $269 (16GB) and $299 (32GB). Both tablets feature high-resolution screens capable of challenging the updated Amazon Kindle tablet; the Nook HD+ is capable of displaying full 1080p video on its 1920 x 1280 display, versus the 1280×800 HD screen used by the 7-inch Kindle Fire HD. A Nook-branded Surface makes sense in that the Windows RT Surface and the Nook share a common ARM architecture. If there’s any drawback to the hardware engineering of either tablet it’s that both have been praised as superlative; it would a difficult decision to favor one design over the other. Microsoft’s Surface tablet, meanwhile is about the size of an iPad, at 10.81 inches × 6.77 inches with a 10.6-inch widescreen display. Some of the online raves in support of the iPad mini and Google’s Nexus 7 seem to indicate that full-size Surfaces, iPads and similar tablets might be a little large for e-reading. Some people clearly prefer large tablets. But others seem to prefer a smaller, more manageable device, about the size of the Nook.  If a Surface mini is coming to focus on e-reading, why not co-brand it as a Nook? The Nook HD’s weakness, if it has one, is that the tablet only has about 10,000 apps, according to a review in the Wall Street Journal. 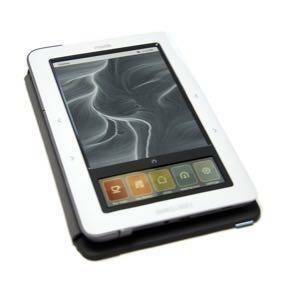 Other reviews have characterized the Nook as a great e-reader tablet, but without the ability to do much more. Unfortunately, pairing a Nook tablet with Microsoft’s app ecosystem would, for now, actually restrict the app environment even more. Microsoft has argued before that optimized websites can be used to replace dedicated apps, but that’s a harder case to make against a robust Android or iOS ecosystem. The Microsoft operating system could also be an issue – while iOS and Android straddle both phones and tablets, Microsoft has three OSes for mobile devices: Windows 8, Windows RT and Windows Phone. Finally, there’s the keyboard. Designing a version of the Touch or Type Cover for a 7-inch tablet would likely prove less of a differentiator and more of a drawback. It just doesn’t seem feasible. The question comes down to this: Has Microsoft’s $300 million bought it a Barnes & Noble roadmap onto Microsoft devices? Perhaps, but it’s not likely to be B&N’s exclusive path. While Apple’s iBooks can be read only on Apple devices, Amazon has done better partly by making its Kindle apps nearly universal. While an optimized e-reader version of the Surface might bring some advantages, don’t expect Barnes & Noble to limit its choices.